About us – How did we come to love log cabins? Would you like to know more about us? 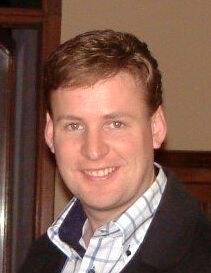 I have always loved construction and engineering and had previously being involved with CAD work and technical illustration for various projects. At a cross roads in our careers, my father and I decided to pursue the dream of having our own log cabin business. Having built and used a log cabin for 12 years or so, we knew how much these beautiful buildings had to offer! 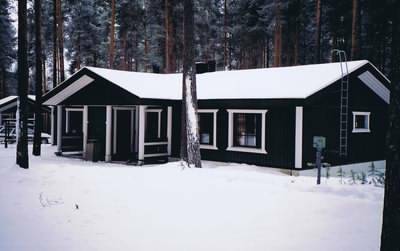 Further more a trip to Finland to see some log cabin and manufacturing facilities in operation, just fuelled our desire for log cabins. In 2001 we set up our own log cabin company, with the good fortune to work hand in hand with a well respected company, who had already been established for around 15 years. Under their mentorship and guidance we quickly learnt all about log cabins and how to go about log cabin projects. Their combined experience of many decades, meant that we didn’t have to learn many mistakes the hard way and we always had to backup and support, to allow our business to succeed in another location. We soon got involved in all sort of log cabin projects, from small garden cabins, to large family homes and multi unit holiday developments. The bespoke nature of most of the work kept it very interesting and to see the finish article in all its glory was always a nice reward for all the hard work! Nothing gave us more pleasure than revisiting past projects, that the owners still enthused over. There is nothing quite like a log cabin and their unique appeal I still believe provides a wonderful living environment, unmatched by other construction methods! Or course, like any business there can be challenges and frustrations which come along! One of the biggest ones for me was observing the lack of fundamental knowledge of log cabins and also the maintenance, which some log cabin owners never did! In fact some never even touched their log cabin in 10 years, no painting, no adjustment for settlement, no checking of seals, nothing! Seeing a beautiful log cabin deteriorate, due to the lack of a little routine maintenance was extremely frustrating. One of the biggest lessons I want you to learn from my experiences, is how to avoid making these same mistakes! Why did I do this website? My experiences taught me that many people starting out on a log cabin project do not understand all the critical aspects to their projects success. I have seen many people make the wrong choice and years later come back to me regretting their original decision. I have also seen people build their log cabin incorrectly through ignorance, or not maintain it (ignoring the long term implications this could have)! Log cabins are such great places to spend time, but I passionately urge you to learn all about them before you start your log cabin project. This is why I have created this website, I want you to get it right and reap the rewards of these natural and unique structures. My biggest hope is that this website leads to you successfully choosing, building and looking after your exciting log cabin project. Thanks for reading this. Enjoy and above all, please learn! P.S. Want to learn the most important steps to take, when undertaking your log cabin project? 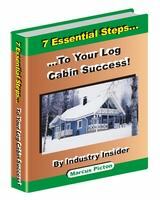 We reveal all in our log cabin ebook.